Insignia - 4" Mini Table Fan - Lunar Rock Model: NS-FT4GY8 Enjoy a breath of fresh air with this Insignia 4-inch mini fan. It has a quiet motor so that it doesn't disturb your working environment, and due to its small size and lunar rock finish, it's discreet. 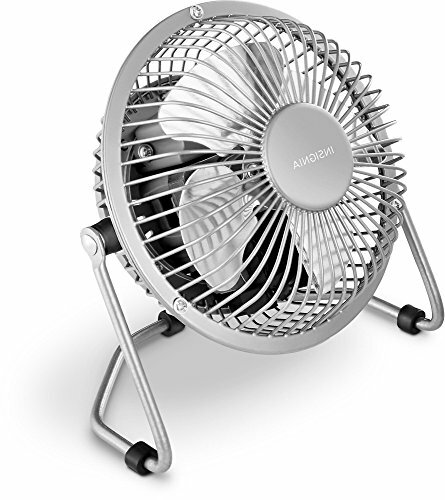 This Insignia 4-inch mini fan provides plenty of airflow despite its compact form factor. 360° tilt head design:Lets you select and maintain the direction of cooling air. Whisper-quiet motor:Allows you to enjoy cool air without noisy operational sounds. Compact design:Occupies minimal space on your table.